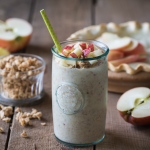 Apple Pie Smoothies made with oats, almond milk, almond butter and fresh seasonal apples are the perfect breakfast, afternoon snack or dessert to make as we approach fall! With honeysuckle apples on sale for just $1.77 a pound at Safeway right now, and multiple sales on whole oats, this is a great recipe to make seasonal and sale ingredients. I like to use vanilla almond milk so that you get an extra flavorful creaminess to the smoothie! 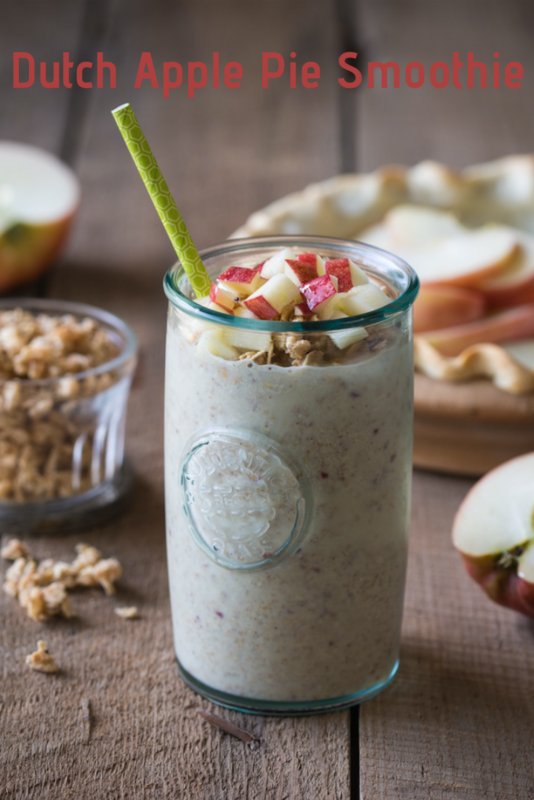 Here are the sale ingredients used to make this smoothies – Honeycrisp apples are on sale for $1.77/lb, Safeway Oats are $.99, Quaker Oats are $1.38 with Just for U digital Coupon, Maranatha Almond Butter is on sale for $7.99 a jar, and McCormick ground cinnamon is on sale for $2.99. 1. Combine everything in a blender and blend on high until smooth. Add ice or a little more liquid if desired. If you want additional protein, you could also add a scoop of vanilla protein powder or 2 Tbs of ground chia seeds to make it a complete breakfast smoothie. 2. Pour and top with chopped apples and a dash of cinnamon. 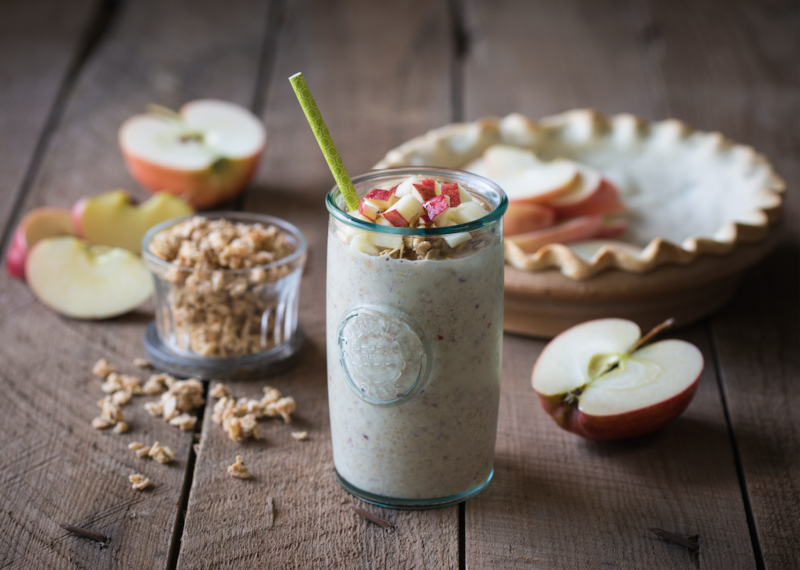 Creamy almond butter, almond milk, fresh apples and cinnamon inspire this delicious fall Dutch Apple Pie Smoothie Recipe. Combine everything in a blender and blend on high until smooth. Add ice or a little more liquid if desired. If you want additional protein, you could also add a scoop of vanilla protein powder or 2 Tbs of ground chia seeds to make it a complete breakfast smoothie. Pour and top with chopped apples and a dash of cinnamon. Thanks to our friends at Safeway for the recipe and image. SuperSafeway is a blog devoted to helping you find the best deals at Safeway in the Denver division. Every week we slice and dice the ad and tell you the best deals at Safeway with and without coupons. For more low prices, check out Super Safeway’s weekly ad coupon matchup page. Want to stay updated on the best deals? If so, make sure to like Super Safeway on Facebook, follow us on Twitter, Instagram, and subscribe to our newsletter.